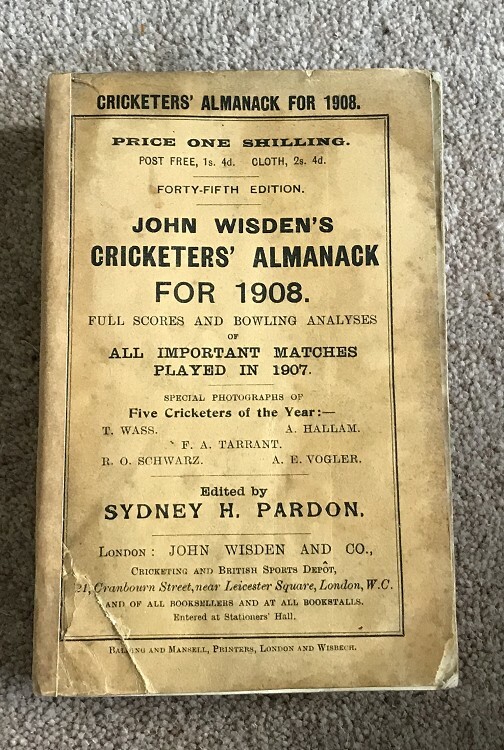 This lot is an Original 1908 Wisden Paperback with facsimile spine and rear cover. This is in Good condition, the rear cover is very well made as is the spine, the front original cover has a tear to the bottom left corner but still in decent shape. Internally it is a nice book with a very good photoplate , odd mark and small dog ear.